Hours: Reception is open Monday to Saturday 8:00am to 5.00pm. Sunday 8:00am to 4:00pm. In the late 1890’s, Kalgoorlie’s streets were a flurry of construction and development as the wealth generated in the gold mines was flaunted in grand and impressive architecture. ,The Palace Hotel, built in 1897 and designed to be the most luxurious hotel outside of Perth, continues to be a landmark building in Kalgoorlie.The Palace Hotel displays magnificent examples of early Goldfields architecture and is the home of the famous Herbert Hoover mirror. Windsor House is located behind the Palace Hotel. 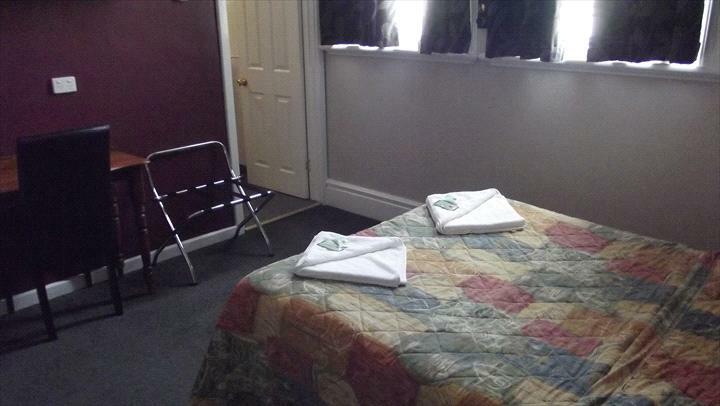 All rooms have 2 beds, either 2 singles or 1 double and 1 single, with shared bathroom facilities (Linen supplied). Please Note, there are no cooking or kitchen facilities and no common room. A traditional style hotel room with a single bed, en-suite bathroom, TV, refrigerator, reverse cycle air-conditioning and tea and coffee making facilities. A traditional style hotel room with a double bed and 1 single bed, en-suite bathroom, TV, refrigerator, reverse cycle air-conditioning and tea and coffee making facilities. A traditional style hotel room with a double bed, en-suite bathroom, TV, refrigerator, reverse cycle air-conditioning and tea and coffee making facilities. A traditional style hotel room with a queen and 2 single beds, en-suite bathroom, TV, refrigerator, reverse cycle air-conditioning and tea and coffee making facilities. 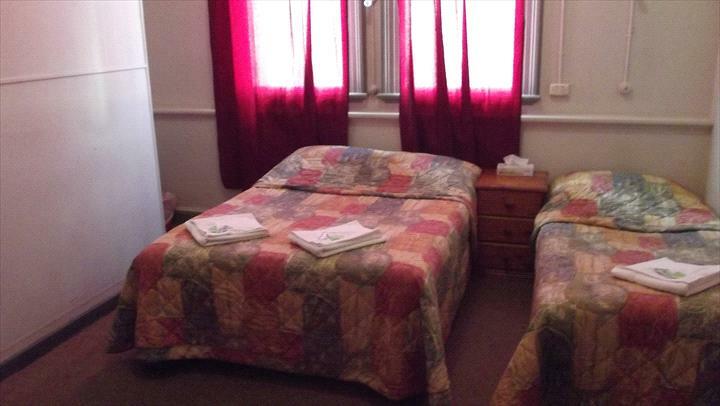 Refurbished room with 1 single bed, an ensuite bathroom, TV, refrigerator, reverse cycle air-conditioning and tea and coffee making facilities. 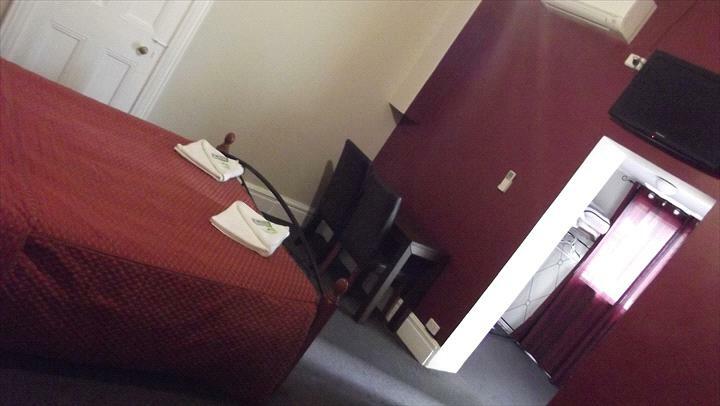 Refurbished room with 2 single beds, an ensuite bathroom, TV, refrigerator, reverse cycle air-conditioning and tea and coffee making facilities. 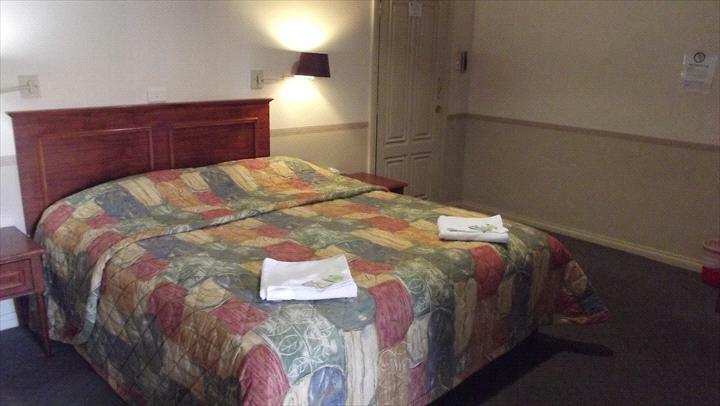 Refurbished room with a double bed, an ensuite bathroom, TV, refrigerator, reverse cycle air-conditioning and tea and coffee making facilities. 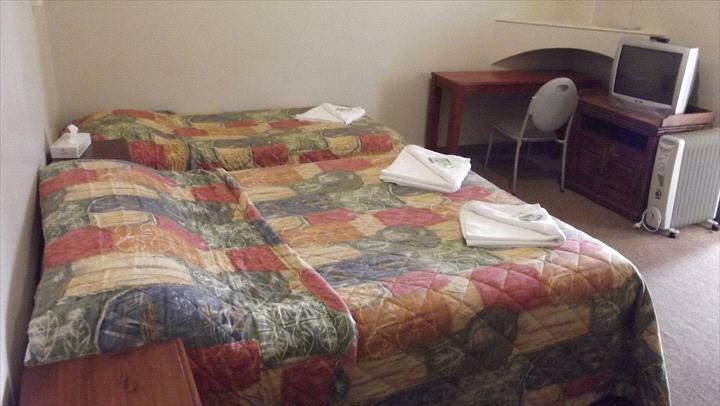 Refurbished room with a queen bed with an ensuite bathroom, TV, refrigerator, reverse cycle air-conditioning and tea and coffee making facilities. 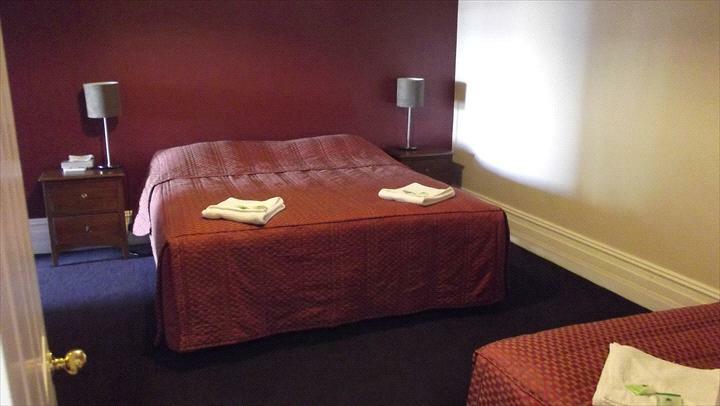 Refurbished room with a king bed, an ensuite bathroom, TV, refrigerator, reverse cycle air-conditioning and tea and coffee making facilities. 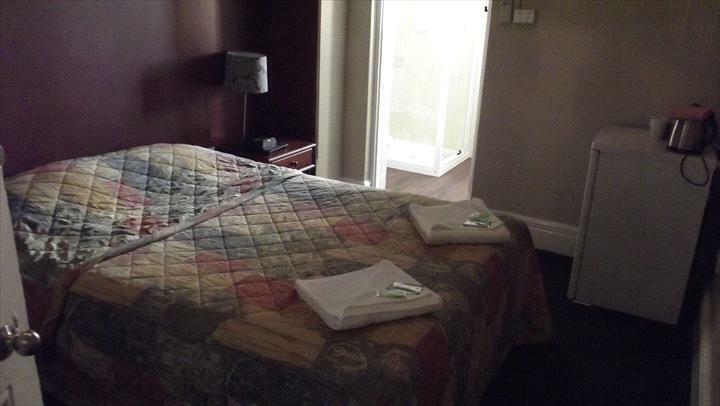 Refurbished room with a queen bed and 2 single beds, an ensuite bathroom, TV, refrigerator, reverse cycle air-conditioning and tea and coffee making facilities. A well appointed room with a single bed, an ensuite bathroom, TV, refrigerator, reverse cycle air-conditioning and tea and coffee making facilities. Private balcony with outdoor setting overlooking the city centre. A well appointed room with a queen bed, an ensuite bathroom, TV, refrigerator, reverse cycle air-conditioning and tea and coffee making facilities. Private balcony with outdoor setting overlooking the city centre. 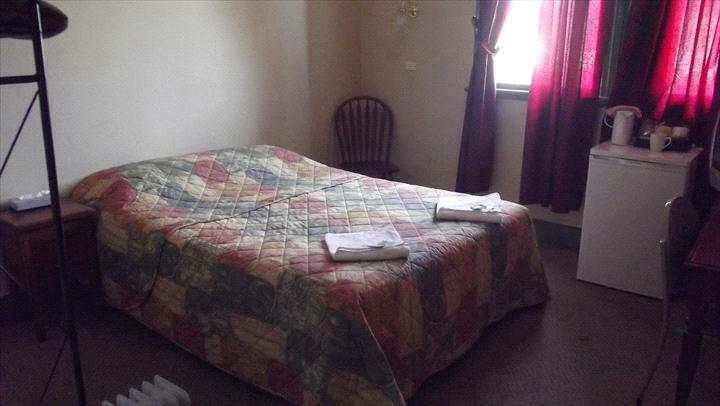 A well appointed room with a king bed, an ensuite bathroom, TV, refrigerator, reverse cycle air-conditioning and tea and coffee making facilities. 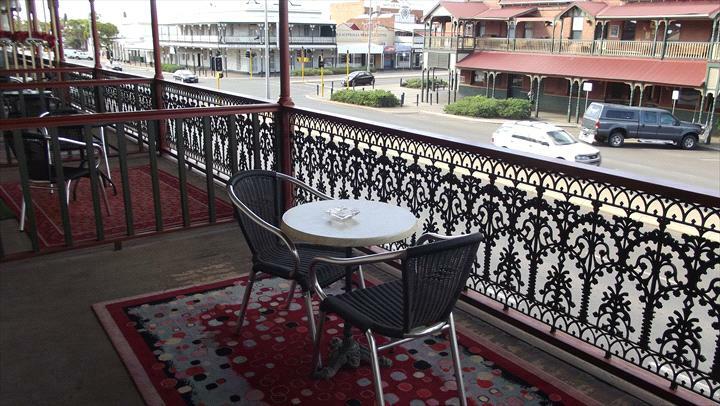 Private balcony with outdoor setting overlooking the city centre. Modern ground floor suite with queen bed and ensuite bathroom. 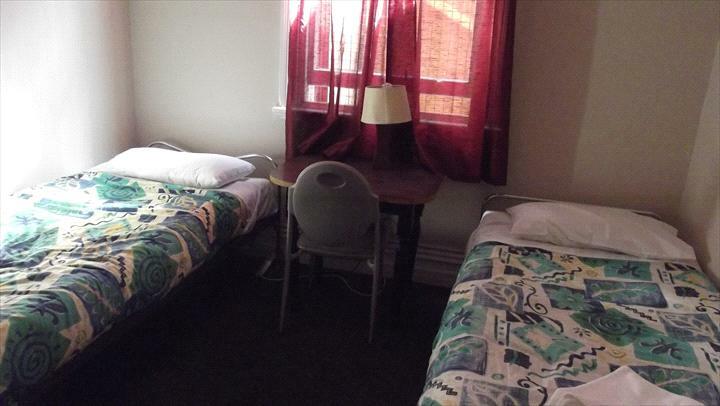 In a separate room, a lounge with flat screen TV and reverse cycle air-conditioning. Modern ground floor suite with 2 bedrooms and ensuite bathroom. 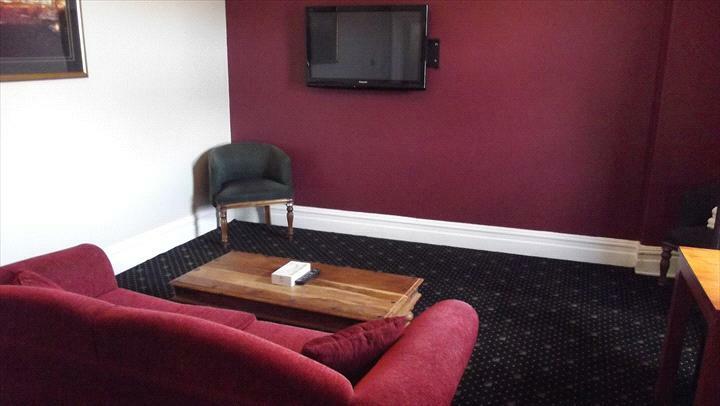 In a separate room, a lounge with flat screen TV and reverse cycle air-conditioning. 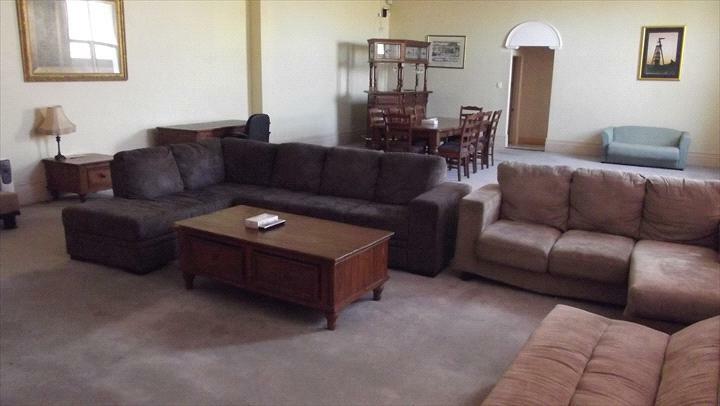 A spacious apartment on the 2nd floor with separate lounge room with a double sofa bed, TV and dvd player. 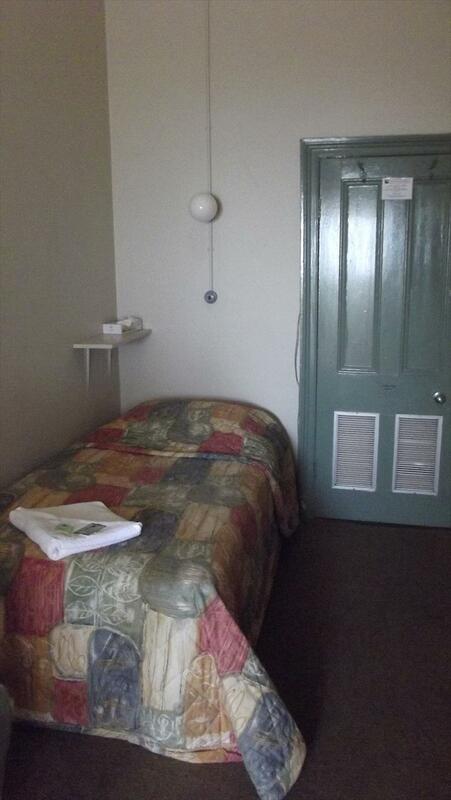 Master bedroom has a queen bed and an ensuite bathroom. Also features a kitchenette with refrigerator, microwave, tea and coffee making facilities and reverse-cycle air-conditioning. 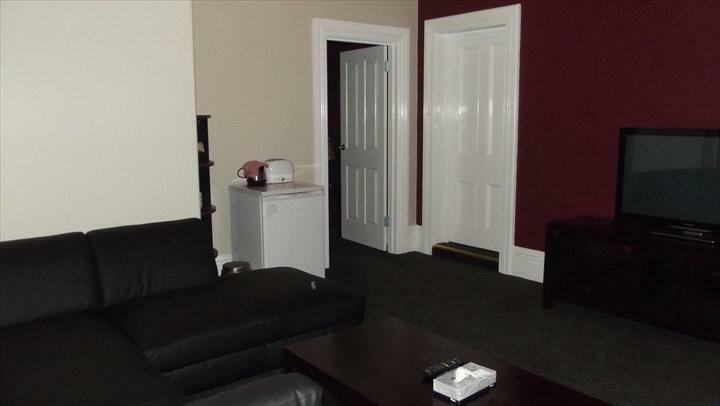 This 5 bedroom apartment features 5 rooms (3 with queen beds and 2 with 2 single beds each - total of 7 beds, large communal lounge area, 2 bathrooms, kitchenette and outside patio with BBQ. Sofa beds are available for 2 more people. Maximum guest of 12. As per Kalgoorlie Boulder Visitor Centre policy 24 hours notice must be given.